If you were to fall in love with a place, it would probably be Lands in Love! Like a Garden of Eden, the grounds where Lands in Love Adventure Park is located are absolutely breathtaking. Following a gorgeous scenic drive to a hidden valley in the heart of the San Lorenzo Cloud Forest in the Arenal region lies the Lands in Love Adventure Park. A complex of 280 acres, it encompasses true beauty and a myriad of fantastic tours that you can choose a-la-carte to design your own adventure! With departures available from San Jose and La Fortuna, Lands in Love Adventure Park can be reached from different regions in the country. Lands in Love is enjoyable for the entire family and features great options for all, from the peace and quiet seeker to the adrenaline lover. With so many options out there you decide how to spend your half day or full day on the premises of this awesome adventure hub! Lands in Love offers close to 20km of beautiful trails to enjoy the abundant flora and fauna, as well as the unique opportunity to observe hundreds of bird species in one place, excellent for bird watching enthusiasts! Numerous orchid species can be found in the orchid garden and an on-site restaurant offers a fabulous international and kosher menu, with excellent vegetarian and vegan options. A swimming pool, a Jacuzzi, complimentary wireless internet and a pet friendly establishment, Lands in Love has it all for a day full of fun! Check out what activities are available from your departure points and if traveling between locations, check out the Smart Connection Deals. Your adventure is just a click away! 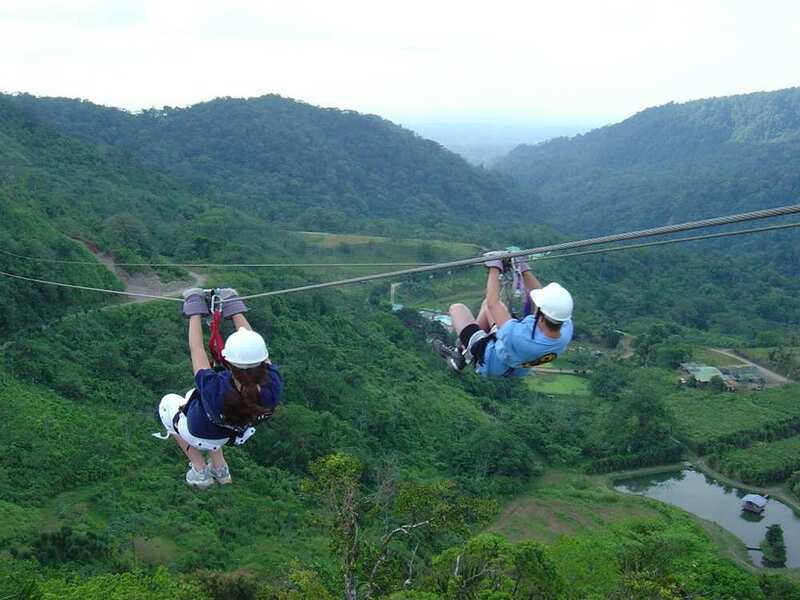 With a total of 10 platforms, 12 fun cables, 3 hanging bridges and a Tarzan Swing, Lands in Love's Canopy and Adventure Cables Tour is one of the longest canopy systems in Costa Rica!! Book your Canyoning at Lands in Love and release the adventurer in you! 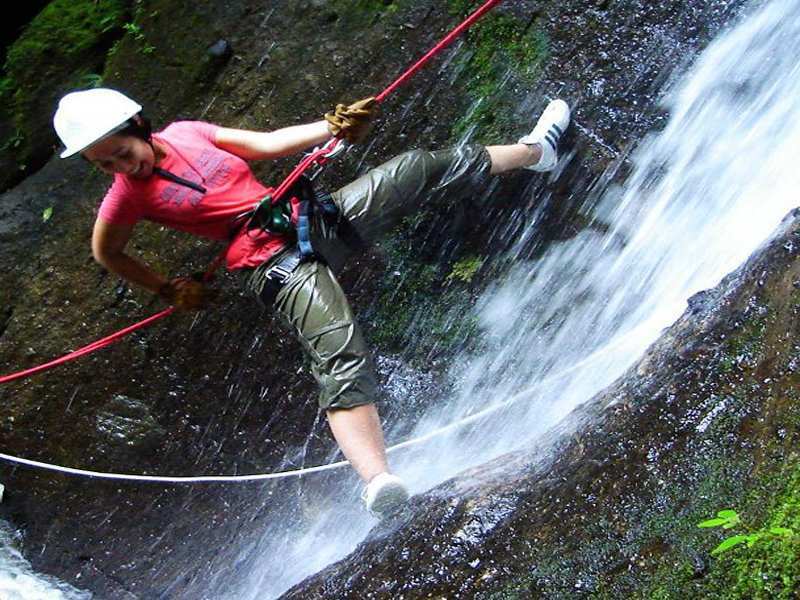 A mix of hiking, rappelling, canyon walls and waterfalls makes for the perfect extreme outdoor adventure in Costa Rica! Come along to relax and enjoy Lands in Love's gorgeous natural setting and superb facilities. 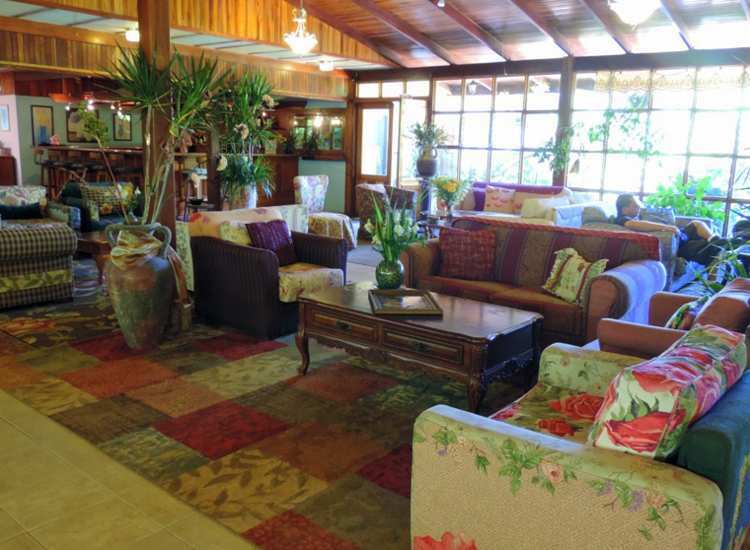 Nature trails, pool, Jacuzzi, an orchid greenhouse and an on-site restaurant will keep you entertained the whole day! 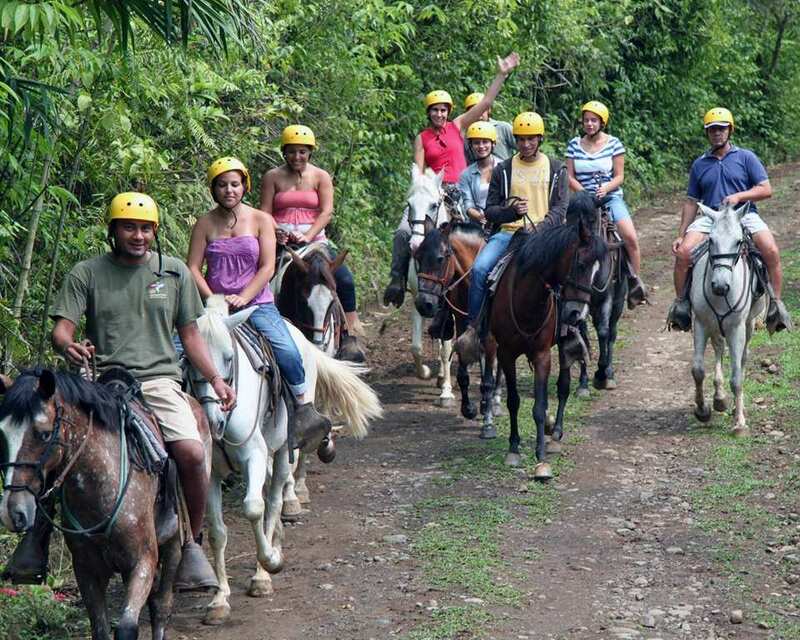 Ride your own horse at Lands in Love Adventure Park and enjoy the journey into the depths of the cloud forest. Perfect for fun families and those seeking a close contact with nature! Come close to Costa Rica's natural wonders on this guided Cloud Forest Hiking Tour at Lands in Love Adventure Park. Explore the cloud forest and discover the creatures that live deep within. 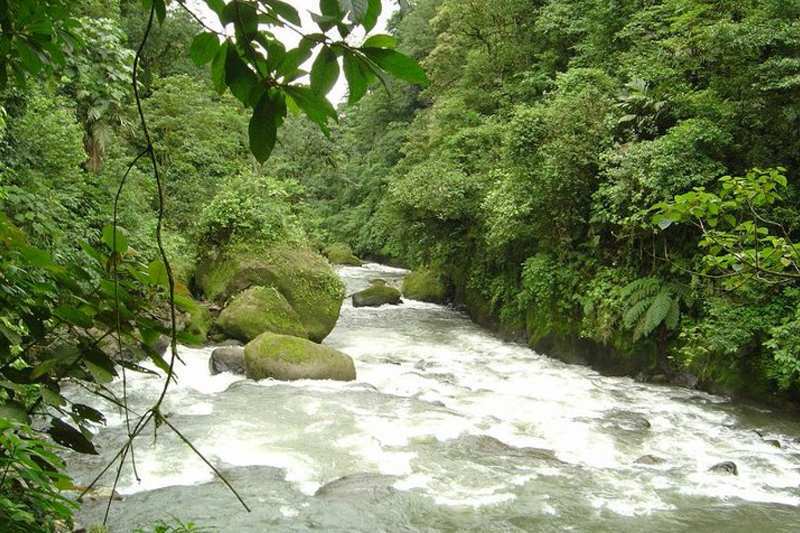 Put on your life vest and get ready for some world-class whitewater rafting in Costa Rica! 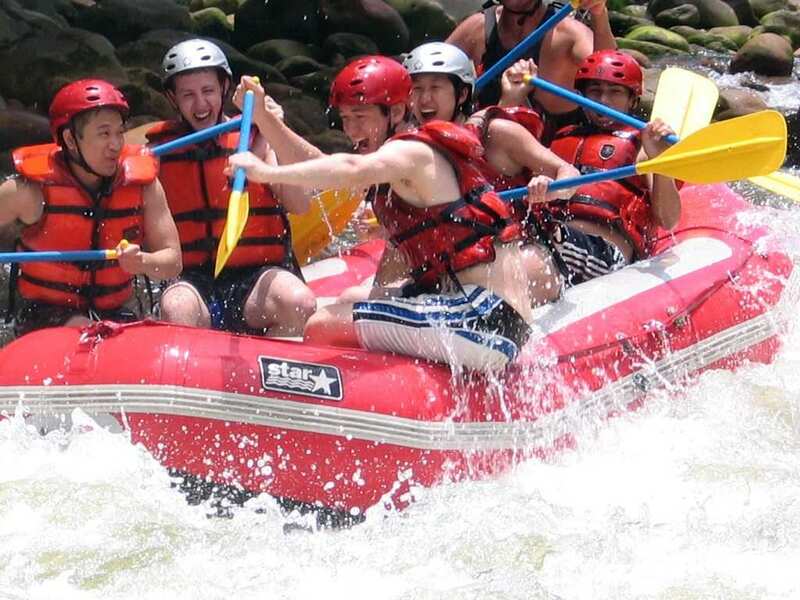 Lands in Love's rafting tours accommodate all skill levels, from first-timers to hard-core river riders! !